WorldBuild Ural/Build Ural – meet new buyers from Ural region and get more opportunities for your business! WorldBuild Ural / BuildUral is the largest building and interiors exhibition in the Urals region of Russia. WorldBuild Ural / BuildUral exhibition features state-of-the-art construction materials, technologies and interior solutions for professionals engaged in construction, design, and operation of residential and industrial facilities of the Ural region, as well as for specialists engaged in retail and wholesale of construction and finishing materials. Yekaterinburg is the 4th largest city in Russia and one of the fastest-growing construction markets in the country. 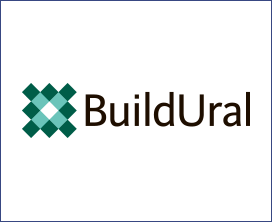 Exhibiting at WorldBuild Ural / BuildUral offers Russian and international companies the opportunity to build their business in this fast-developing market. The Ural region is one of the largest economic and industrial centers of Russia marked with a high rate of growth of the industrial system and housing development. Being the Urals capital and the fourth largest city in Russia in terms of population, Yekaterinburg is one of the leaders in residential construction volumes, upgrade and development of the urban infrastructure.